Gumash in Dark Red is such an attention grabber! Dark Red brings out the confidence in you and adds positive energy to your look. The color is dark and elegant. This shade will flatter fair-to-medium color skin. 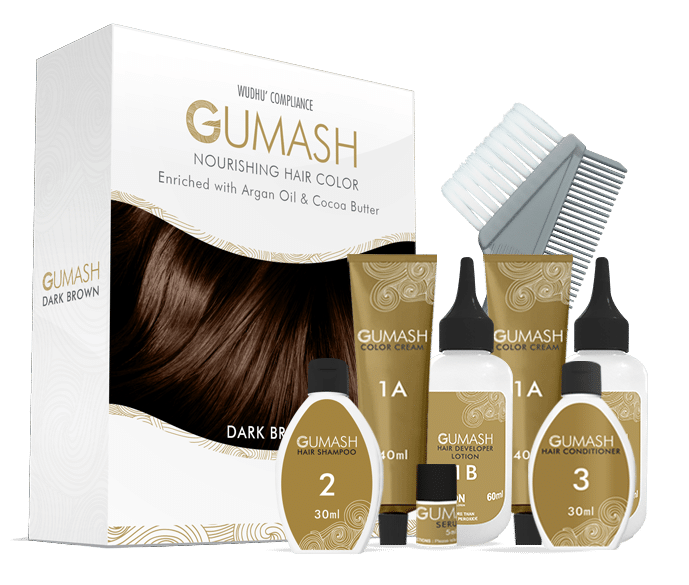 Gumash in Dark Brown is the famous of all! It`s a gorgeous shade that suits everyone at all age. The color is so nice and beautifully subtle with all types of skin color. You can`t go wrong with our Gumash Dark Brown. Gumash in Black is dramatic and stunning. Black makes your hair look healthy and shinning all the time. You will certainly look fresh and reviving after you finish using this color. Secret to a gorgeous hair is here! 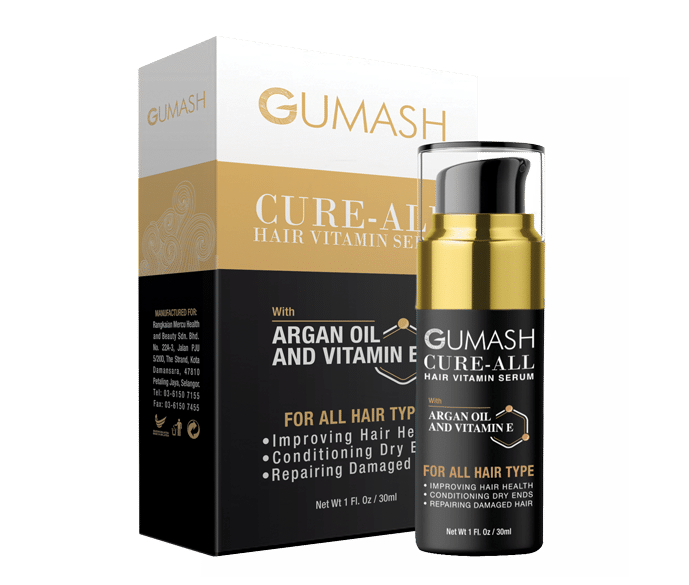 Gumash Cure-All Hair Vitamin Serum is made for treatment to revive the natural luster of hair. Instantly transform dull, dry hair into beautifully smooth, silky and stunning hair. Designed as a cure-all hair serum which is a solution to almost all hair problems. Enriched with Argan Oil and Vitamin E.